This session will include fire service leaders sharing information on current fire service topics and how it will affect our service in the future. It will provide interactive discussions to assist fire service members on how and why we do the things we do. IMPORTANT: In order to attend OC FOOLS sponsored classes, a signed consent form is required for on-site registration. Multiple signatures required. Print, and fill out the form, prior to your trip. You can find the current form under the Registration Forms subhead on our Downloads page. 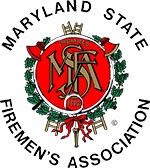 Unlimited available	 Firehouse Kitchen Table Discussion Student Registration Free On-site registration will be accepted only if space is available.